Ever since Nintendo's shares rocketed after the launch of Pokémon Go - despite the worldwide phenomenon not being a Nintendo product - and the surprise announcement of Super Mario Run, all eyes have been on the platform holder's mobile strategy. Analysts and even the mainstream media have been quick to comment on the potential for traditional games brands in the mobile space, but in all the excitement some people seem to have forgotten several publishers have already made their mark on smart devices with their best-selling IP. Square Enix, in particular, has a very healthy mobile business thanks to ports of Final Fantasy, Tomb Raider and Dragon Quest games, new IP such as Heavenstrike Rivals, and the acclaimed Go series that has so far offered new takes on the Hitman, Lara Croft and Deus Ex series. 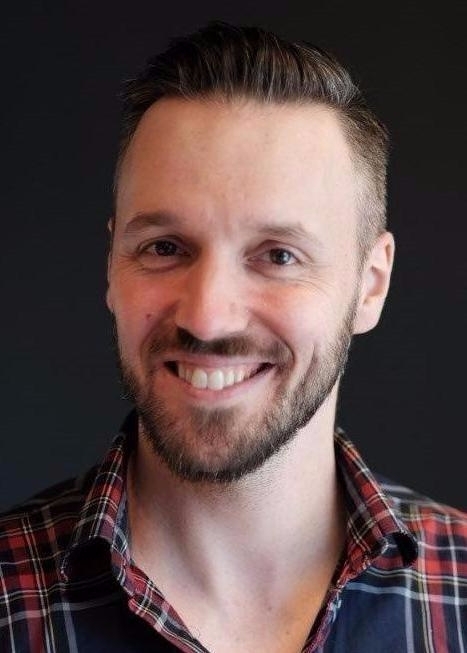 The Go games are developed by the mobile team at Square Enix Montreal, led by head of studio Patrick Naud, who tells GamesIndustry.biz that Nintendo's determined push into mobile further validates what the Japanese publisher has already been doing for more than half a decade now. "If a company like Nintendo decides to go down this route, it's because they see the potential," he says. "Square has been potentially one of the biggest companies when it comes to bringing their [games] IP to mobile. It just reassures that we're heading in the right direction. "And we're the smart ones because we were there earlier," he adds with a laugh. Naud goes on to observe that Nintendo's efforts also illustrate what Square Enix has long since been exploring with its biggest properties: that these brands can help encourage more core players to investigate the gaming possibilities afforded by smart devices. "Games like Mario will open the road for other big console IPs and get more core players to give mobile a chance," he says. "Sadly, mobile doesn't have the best image for some gamers - and I understand why. I'm one of those guys who plays both console and mobile, but you need to find positives that bring you to mobile and ideally open up your mind to playing more mobile games. "I hope that Mario did this. It's sad to see so much negative press around it, particularly around the business model because I feel it's a clever way to have people try the game first." "It's sad to see so much negative press around Super Mario Run, particularly around the business model because I feel it's a clever way to have people try the game first"
The backlash against Super Mario Run's £7.99 price point, prompting scores of one-star reviews when the game launched, seemed baffling to many in the industry - myself included. 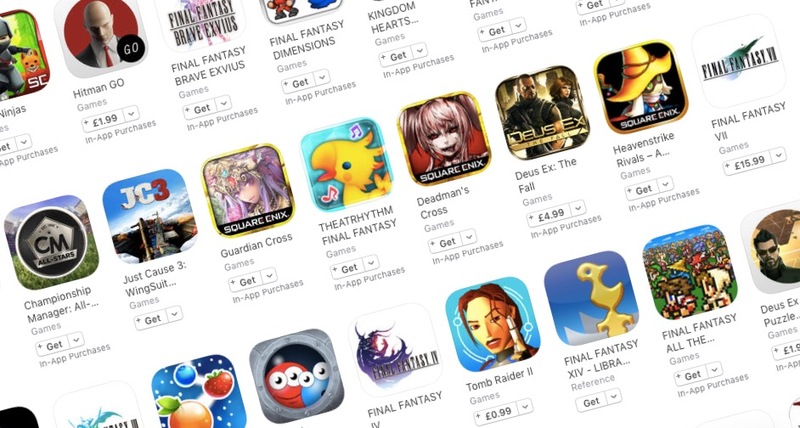 While it's undeniably more expensive than most premium games on the App Store, Square Enix had charged more than double that for mobile games. A casual glance through the firm's catalogue shows ports of the early Final Fantasy games to range from £7.99 for FFII to a whopping £20.49 for FFIX. And its mobile business certainly doesn't seem to have suffered. Why shouldn't Nintendo charge that amount for its most valuable of IP? Naud agrees, adding: "And I'd argue they've crafted a new epic Nintendo-like experience specifically for mobile. It's Mario, and yes it's inspired by the old Mario games, but there are new rules, new ways to play. In terms of level design and the way you play the game, it's completely different to anything you've seen. You've got all the brains at Nintendo finding a way to play a Mario game on a phone, and it works, and it's deep, it has the depth of all the Mario games. So yeah, it's potentially worth more than what we usually pay." Now deep withing the rabbit hole of mobile pricing, the conversation turns to questioning why so many mobile users are less than keen on investing in quality games for their device. As Naud points out, people have been accustomed to paying £40 or more for new console game for decades, and yet they remain reluctant to spend far less on a mobile game? Why? "When you go on your phone and you buy a game, you go to the app store, not the games store. They're presented to people as an app. Apps are free"
"One key thing is mindset," he suggests. "When you go on your phone and you buy a game, you go to the app store, not the games store. People who are willing to pay £15 for a game on Steam are struggling to pay a couple of quid for on mobile, sometimes for the same game. But what's the difference? It's because they're presented to people as an app. Apps are free. "We still need great games to push other great games. Whenever you have really good mobile titles, people go back to playing on their phones and realise there is some quality content on there. It's a self-fulfilling prophecy. We're going to keep making great games, hoping that it encourages other studios to celebrate doing the same. If people start demanding better experiences, or raising their standards of what they expect to play, the market can evolve and we'll have more premium games." That's no small challenge to overcome. In addition to difficulties convincing players to actually pay for their mobile games, there is then the increasingly common expectation that games will be updated and supported for months, if not years to come - and for free. British indie Ustwo Games faced backlash of its own when it dared to charge £1.49 for the expansion to Monument Valley - a high-quality add-on that essentially doubled the game's content. But is kowtowing to this attitude, lowering prices to what mobile users expect rather than what publishers would rather charge actually harmful? The Go games Naud and his team have produced are all critical smash hits, so does selling them for less than a fiver not undervalue the work that goes into them? "The exercise of distilling a brand down to its core essence and making a minimalist game out of it - that's our big challenge"
"Yeah," Naud acknowledges. "We could sell it higher, but if the market's not ready for it... we need to be clever about it, crafting the proper experience and the proper amount of content for the price. "There's room for high-quality mobile games and they don't need to be free-to-play." It's easy to argue that this is why Square Enix, or indeed any other company, turns to ports of earlier releases or scaled-back takes on gameplay such as the Go series when bringing their big console IPs to mobile. Developing more comprehensive titles in the face of such resistance to invest must seem daunting and highly impractical. Square has, of course, dabbled in this with the release of Deus Ex: The Fall - a four to five-hour title that offers almost an identical experience to Human Revolution - but Naud says it is more to do with discerning between what console players think they want on mobile, and what they would actually enjoy. "I'd argue that people do want to play console games on the go, but they won't play the same type of experience," he says. "People that are playing console games or even PC games are seated in their living room, with their nice couch, 7.1 surround sound, 60-inch TV - they're going to play in a different way than if they were just going to play a five-minute session. So they might not play exactly the same game. That's why I love the Switch, because it might be the middle ground that finally solves that. "I'd argue that people do want to play console games on the go, but they won't play the same type of experience"
"I assume most of the console players right now are also playing on mobile, but they're really not playing the same type of experience because they're not playing it at the same time. If you were to go from playing a first-person shooter on your TV - with that perfect set-up and your super-reactive controllers - to playing a similar game with a thumbstick on a touch screen... it will never be the same experience. Hence why we're trying to craft experiences that are very much dedicated for mobile audiences and mobile phones." Instead, Naud says the key is to "create an experience specifically crafted for mobile" taking into account how smartphone owners interact with their device, their play habits, their usage and so on. In addition to his earlier example of Super Mario Run - offering the depth of a core Mario platformer with a one-touch control system designed for smart devices - he offers Hitman as further proof of how console IP can be re-appropriated for mobile. So far, Square Enix Montreal has taken two approaches with IO Interactive's flagship IP. Hitman Go focuses on the slow, strategic aspect of planning your kills and utilising any opportunities that present themselves. 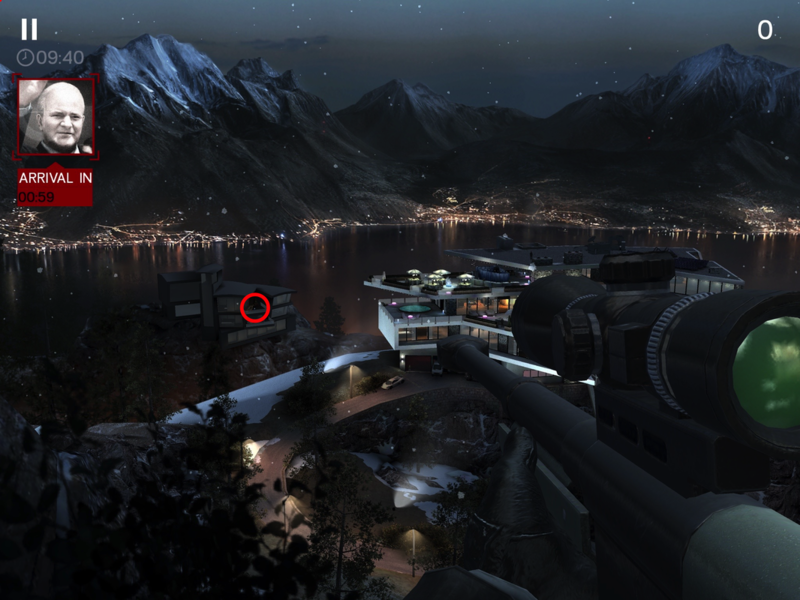 Hitman Sniper, meanwhile, takes the sniping element along with the sense of puppeteering, manipulating events from afar to set up better kills. While the latter was partly borne from the popularity of the Hitman: Sniper Challenge digital title that preceded Absolution, Naud reveals the concept also stemmed from the desire to create a new entry in the series "without the constraints of moving in the world". 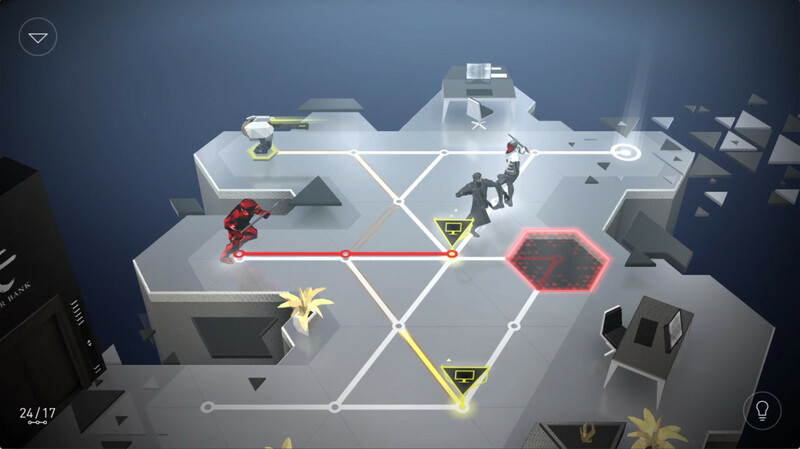 "Half the players on Hitman Go, Lara Croft Go and Deus Ex Go discovered the game through the App Store"
"The biggest challenge when playing on your phone is navigation," he says. "For Hitman, this was by far the smartest way to do it. And we're still working on Sniper, we're still updating the game on a regular basis and it's been a - maybe not as big a critical success as the Go series, but on the financial side it's been very successful." But it's the Go series that, for Naud, really demonstrates the benefit of bringing blockbuster console IP to mobile devices: introducing the brands to a new audience. "Half the players on Hitman Go, Lara Croft Go and Deus Ex Go discovered the game through the App Store," he said. "Regardless of whether they were already fans or not, that's how they discovered them. They got to them because they were recommended by Apple, or their friends. We actually have way more mainstream players for the Go games than Hitman players. "Any time we do a Go game, it needs to be a different take [on the series], it needs to feel like the original, big console IP but with its own personality. All the critical acclaim made it clear that we've succeeded for a third consecutive time. "The art direction of all three games is completely different and yet the gameplay is somewhat similar. You understand the rules, you don't need big tutorials, it's not that complex. For us, the exercise of distilling a brand down to its core essence and making a minimalist game out of it - that's our big challenge." To date, Square Enix Montreal has only been granted access to Western and former Eidos franchises: Hitman, Tomb Raider, Deus Ex. With Final Fantasy, Dragon Quest and even Kingdom Hearts already establishing a foothold on mobile, could we see these Eastern IP receive the Go treatment. "We'll see," says Naud. "Even if anything was in development, I couldn't say anything - you know that. But we're constantly thinking about what we could do next, what kind of projects we can work on, what we've learned from the Go games that can potentially take us in a new direction." The latest Hitman Sniper is really well made mobile game. I usually ignore games that costs something and also have In-apps together with games without demo (not a trend now) Sniper is something else. When it comes to mobile games in general I appreciate and accept when the publisher wants money but also delivers true game not only coin trap. Regarding Mario - I am glad that I can play Mario as I don't have Nintendo right now and the new approach and experience is just another bonus - it is better than not having Mario at all. Thanks for making true games than can be played - mobile. The go series were great, hats down to them for it. A breath of fresh air one might say even. Alas, Hitman Sniper, while adequately made, follows the age old recipe. Slap known IP on mediocre and highly derivative gameplay.